Baume & Mercier expands its Clifton collection at SIHH 2017 with a useful dual-time complication. 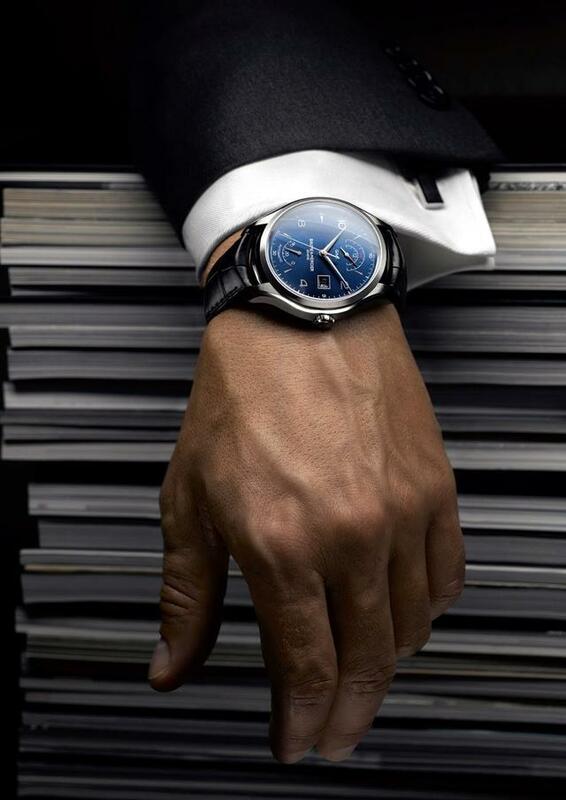 This blue-dialed 43mm steel watch offers a cleaner-dialed echo of the firm’s much-discussed Clifton Chronograph Complete Calendar from last year, which wowed many observers with its classic display, solid construction and a price tag just under $5,000. (Look for a red gold Clifton Perpetual Calendar at SIHH 2017.). 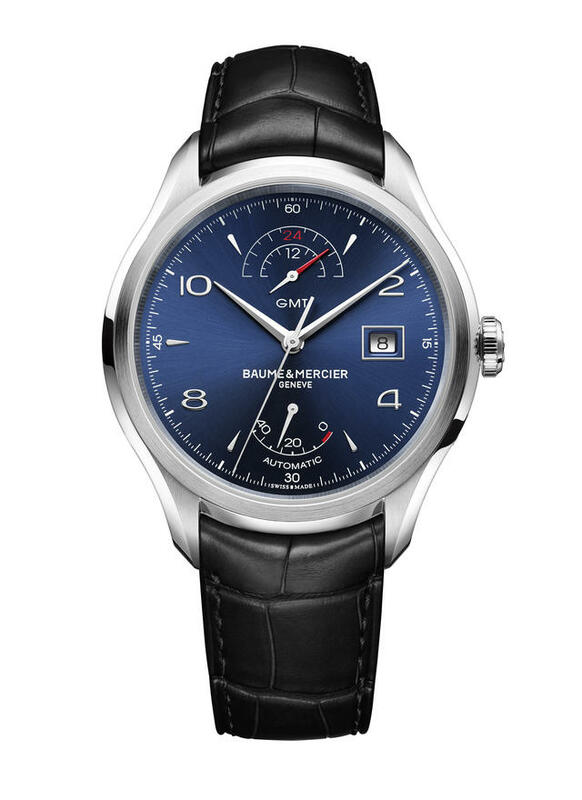 The Clifton GMT Power Reserve model features a deep blue dial with sun-satin finishes to clearly display the date, power reserve and the time in a second location via a red and silver GMT display at the top of the dial. 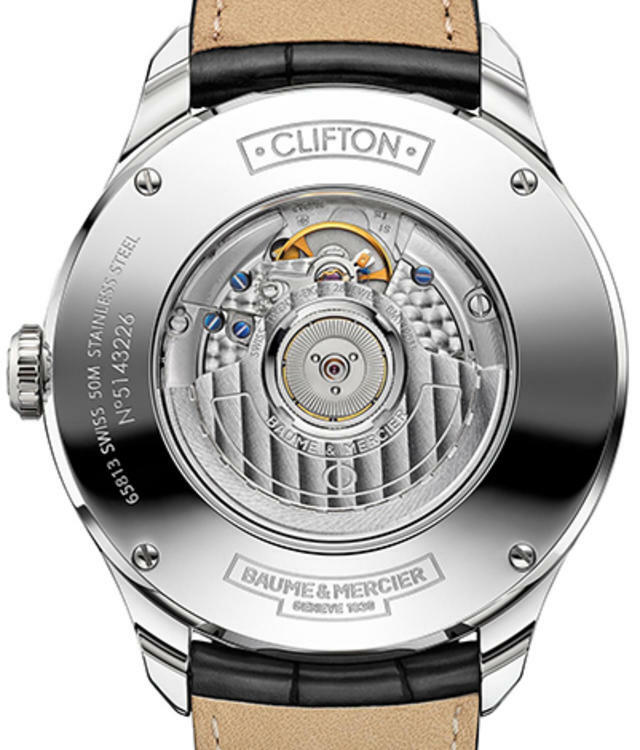 Inside Baume & Mercier places an automatic Soprod 9035 caliber with circular-grained finished plate and bridges, blued steel screws and oscillating weight decorated with Côtes de Genève finish. Price: $3,690. 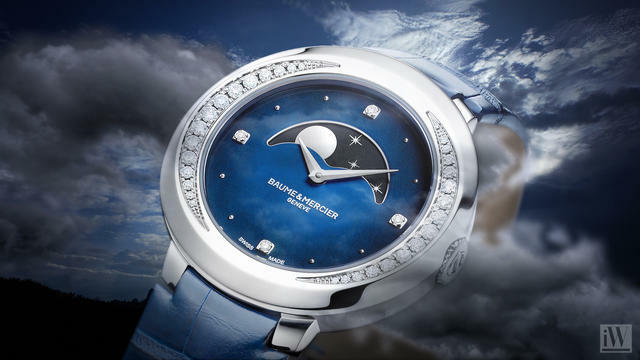 Also with a brilliant blue dial, this new 34mm Promesse expands Baume & Mercier’s premiere collection for women with a contemporary moonphase display. No tiny subdial here. The moon waxes and wanes along the top half of the dial, moving across an aperture of unusually wide dimensions. Then Baume & Mercier places thirty diamonds on either side of the display to highlight the oval shaped bezel that is the prominent shape of the Promesse collection. 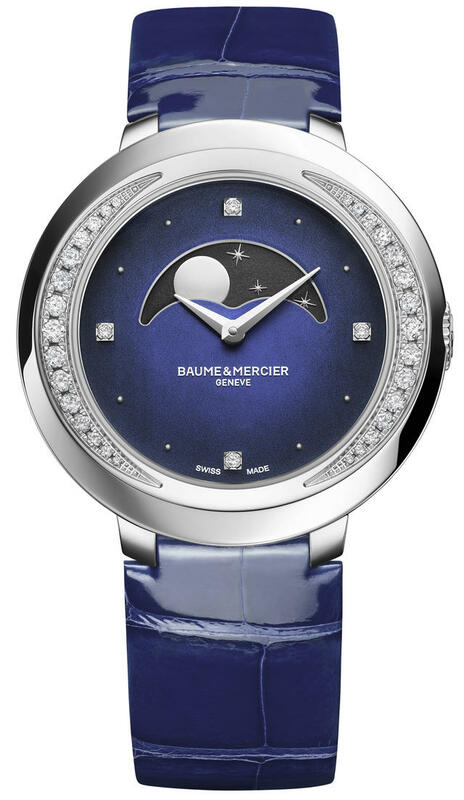 A final touch—the glossy midnight blue alligator strap, completes this modern moon. Inside is a Ronda quartz caliber. Price: Approximately $3,790.